It was another beautiful day at the Baha Mar Resort in the Bahamas but it was bound to be extra special for one of six players in the Caribbean Poker Party $250,000 Super High Roller Championships. 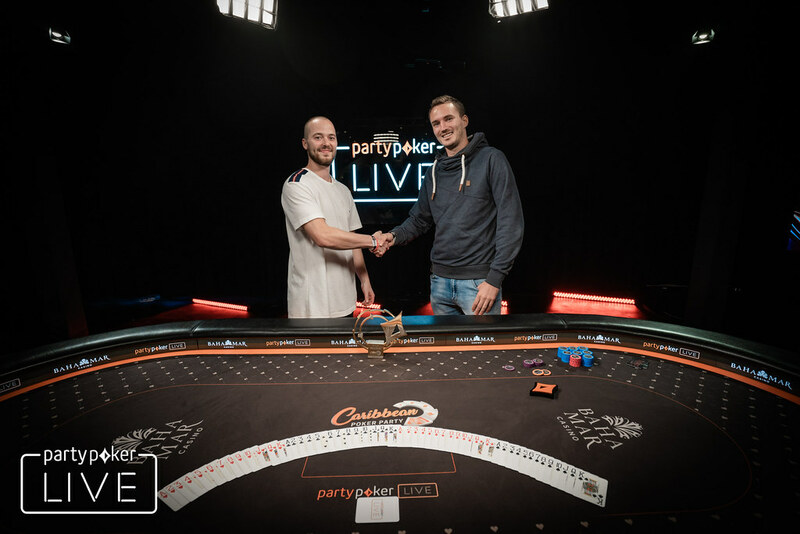 It didn't occur until after the sun went down, but Steffen Sontheimer rose to the top to claim the victory and a hefty payday of $3,685,000. Sontheimer came into the day as the chip leader and he went wire to wire with a dominating performance against some of the best competition in the world. It was also impressive for Sean Winter to outlast everyone else for a second-place finish, but it was a cooler spot that ended the heads-up battle in a timely manner. 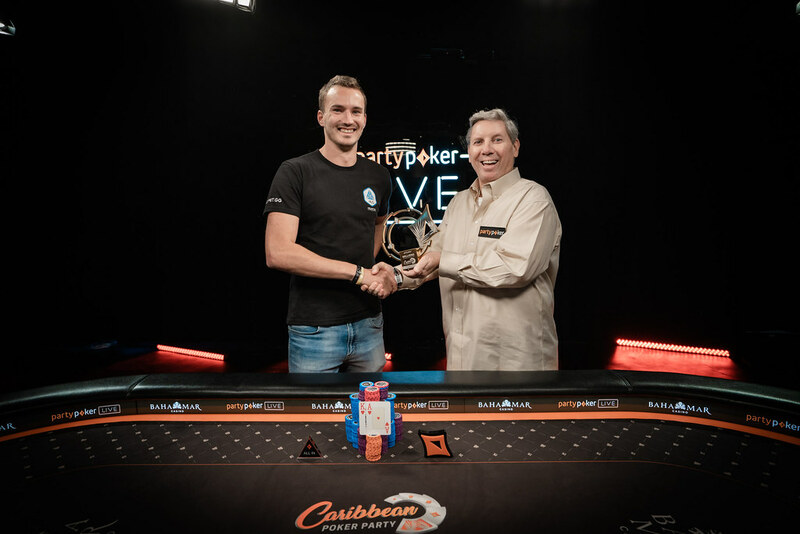 His victory came on the third day of play in the gargantuan event, which saw 34 players put up the massive quarter-of-a-million buy-in to fight for the biggest first prize on offer here at the Caribbean Poker Party. It was a freezeout event, so eliminated players were unable to reenter. Fourteen players survived Day 1, and after three more entries, the remaining players battled down to the last six on Day 2. This will be recorded as Sontheimer's largest career cash and his third in the seven-figure range. His previous largest came at the 2017 Poker Masters where he won the entire event on the heels of a win in the $100,000 Main Event for over $1.5 million. The German high roller has now moved inside the top 100 on the all-time money list with over $12.5 million and he's only 28 years of age. For Winter, it was just another day at the office as well, but maybe a different type of office than what he's used to. While the high-stakes American poker pro doesn't shy away from any of the big buy-in tournaments, his specialty certainly lies at the cash game table. Winter is often found playing in the nosebleed games at the Aria casino in Las Vegas and has transferred that skill into tournaments. While he didn't capture the glory, Winter will still be taking home a nice payday of $2,430,000. The day began with six players taking to the felt knowing that only four players would make the money. While Sontheimer had a clear chip advantage, the other five players were left scrambling for position. An early surge from Nick Petrangelo on the short stack made it anyone's game to get in the money. 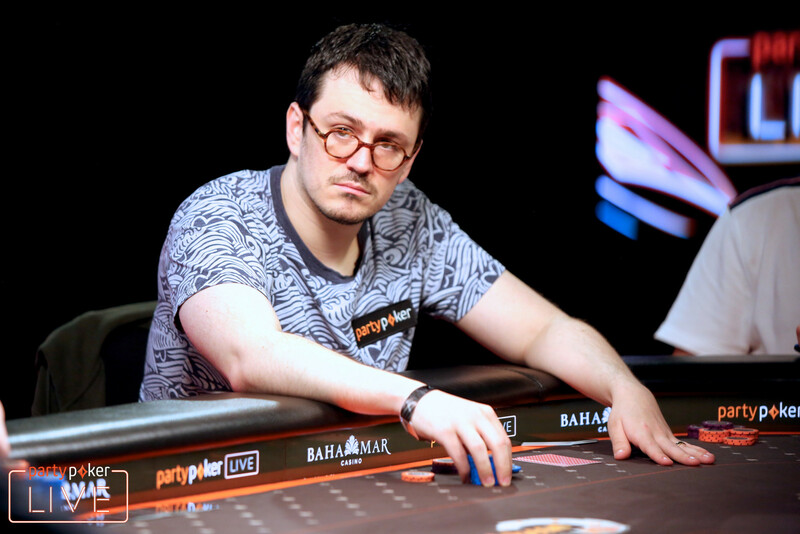 The last partypoker pro Isaac Haxton had a rough go at things until he eventually found a board that he liked. Holding jack-ten of diamonds, Haxton flopped top pair with a flush draw and turned a straight but it wasn't good enough to beat Sontheimer's two pair. Haxton was the first player to hit the rail in the second level of play, being eliminated in sixth place. Petrangelo started on the short stack but his hot start didn't last for long. He eventually found himself back to on a 20 big blind stack and moved it in with ace-king suited. David Peters woke up with pocket jacks on his left and the two players were off to the races on the money bubble. The board ran out ten-high and Petrangelo was eliminated on the money bubble. The final four players were guaranteed at least $710,000 but the significant pay jumps played a huge role. 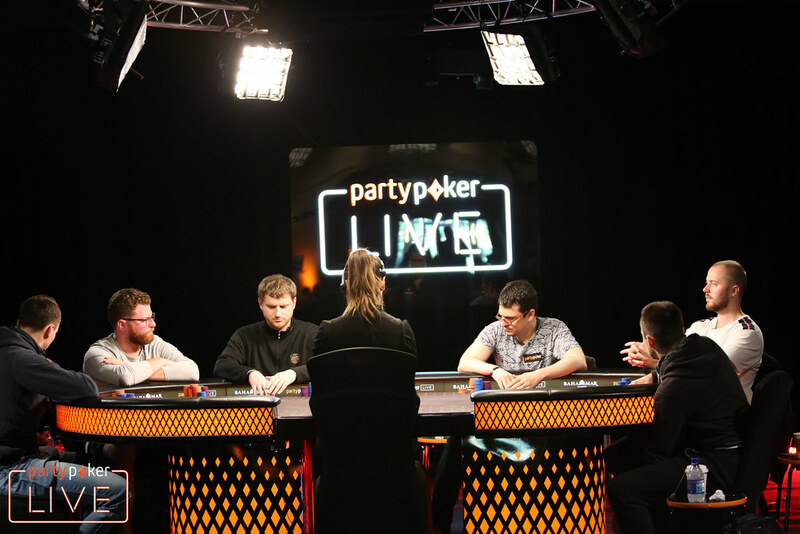 Mikita Badziakouski and Peters were both short-stacked while Sontheimer and Winter continued to strengthen their lead. It was all small-ball poker for nearly four hours until Badziakouski was left with just 11 big blinds. Winter's ace-queen held up against Badziakouski's king-jack leaving just three players at the table. It wouldn't take long for heads-up play to begin as Peters was forced to make something happen with his stack of 16 big blinds. Sontheimer opened on the button with ace-king and Peters ripped it with king-queen in the small blind. It was a no-brainer call for Sontheimer who held to eliminate Peters in third place. And so, the two big stacks made it to heads-up and with nearly 200 big blinds in play, it was expected to be a grueling battle. However, two premium hands after about 15 minutes got everyone out of their seats. It would be a four-bet shove from Sontheimer with ace-king and a call from Winter with ace-queen and the German was on his way to another big win. The board ran out clean for Sontheimer as he made short-work of Winter heads-up.